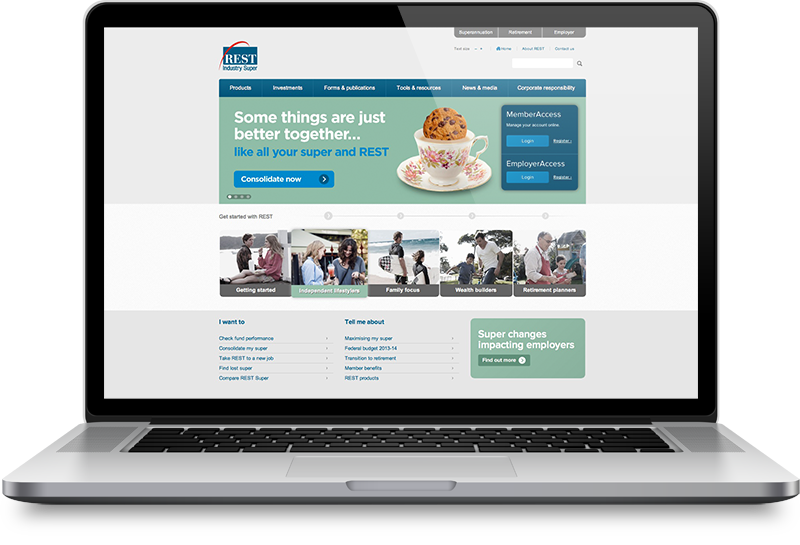 REST Super were looking for a refresh of their overall digital presence beginning with their primary website. I was involved in refreshing their website design, user interface design and user experience design working alongside the creative team at Loud & Clear. 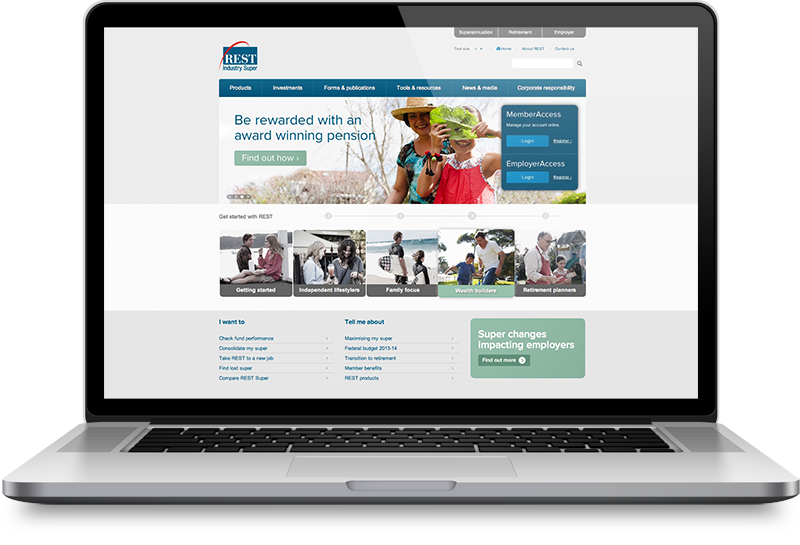 The design solution was required to work within REST Super’s existing CMS framework and deliver content in a fresh and engaging way. A clean and contemporary look and feel was created with good use of white space, grid based layout techniques, clean and accessible typography, natural photography and the use of subtle depth and texture.